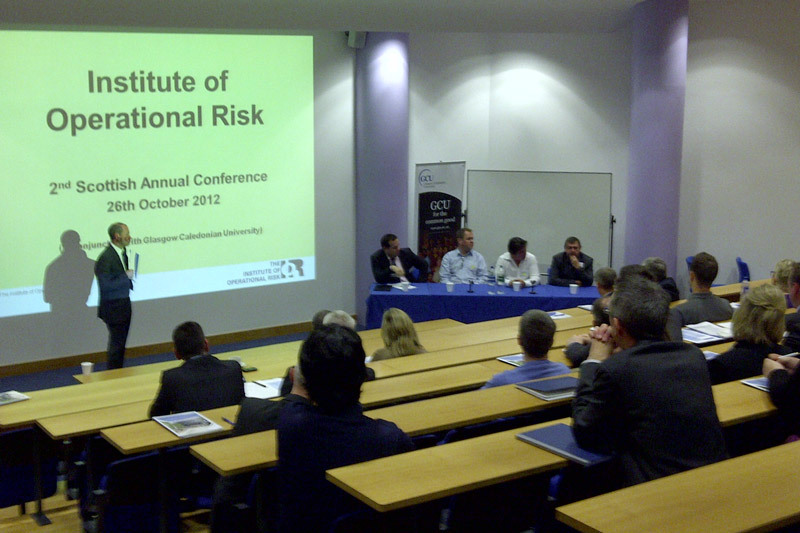 The Scottish Chapter of the IOR recently held its 2nd Annual Conference at Glasgow Caledonian University with 90+ in attendance representing more than 20 financial services institutions across Scotland. The keynote speaker for this event was Andrew Sheen from the FSA who was extremely well received and spoke about the importance of Loss Data Collection. 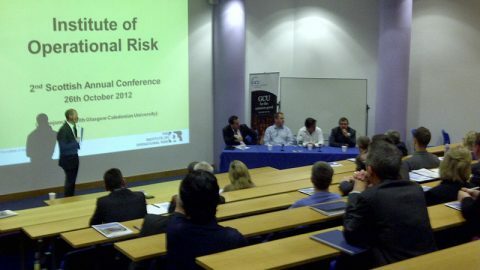 Other guest speakers on the day included George Clark, Hansruedi Schuetter and Professor Tony Blunden. A full breakdown of the day’s event including individual speakers, their presentation slides and biographies can be found by clicking on the following link…..